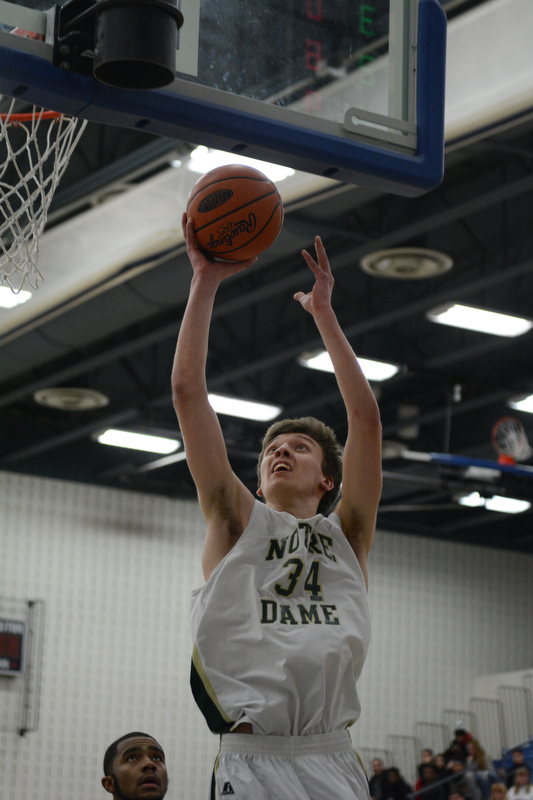 Notre Dame Ends Season with a Thriller! 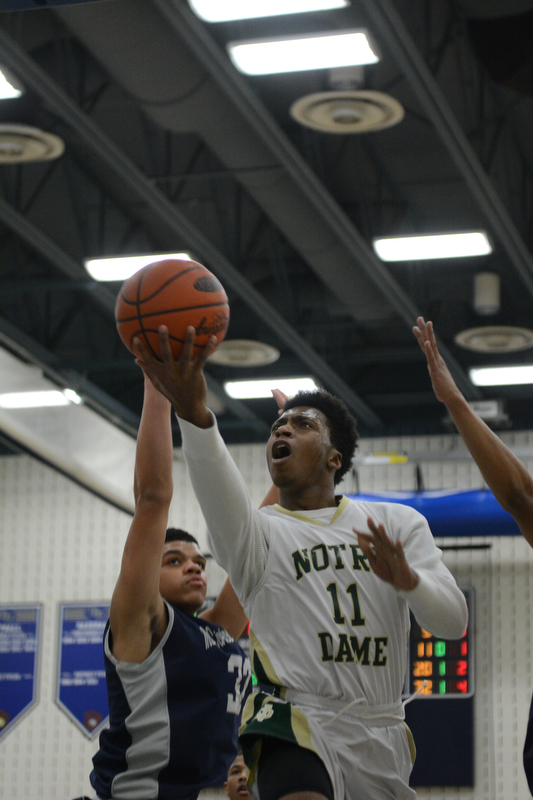 A last-second 3-point shot sent Notre Dame into overtime in their State matchup with Math Civics & Sciences of Philadelphia this past Friday night. The game was a thriller down to the wire! 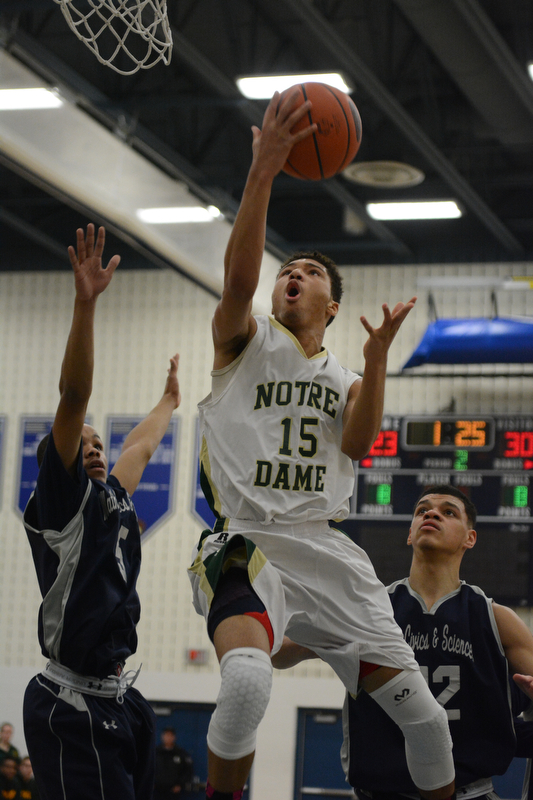 These photos were all published in The Pocono Record in Saturday’s edition. Two good teams faced each other on October 8th in a baseball showdown. The fans were treated to a true fall spectacle as the teams battled it out in fall-like weather. 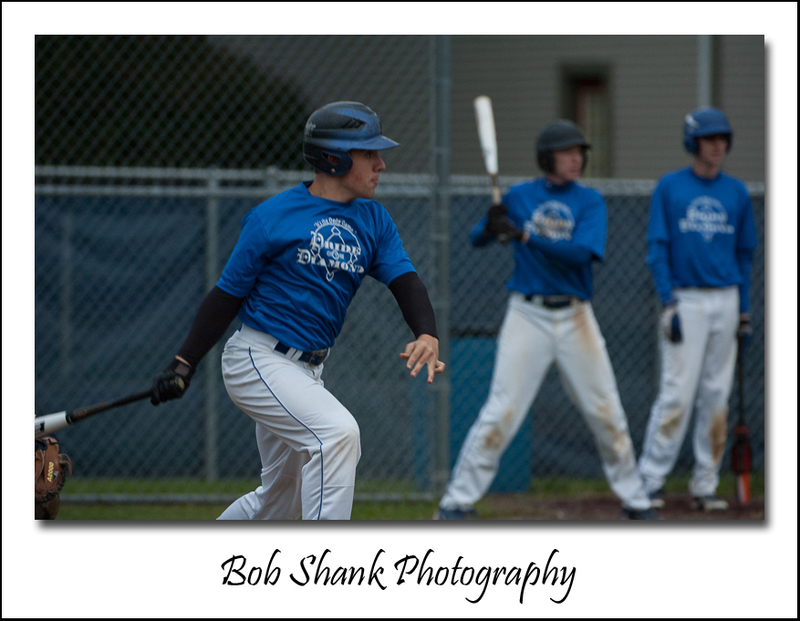 The above photo shows the second baseman, Adam Raseley, throwing a runner out at first. 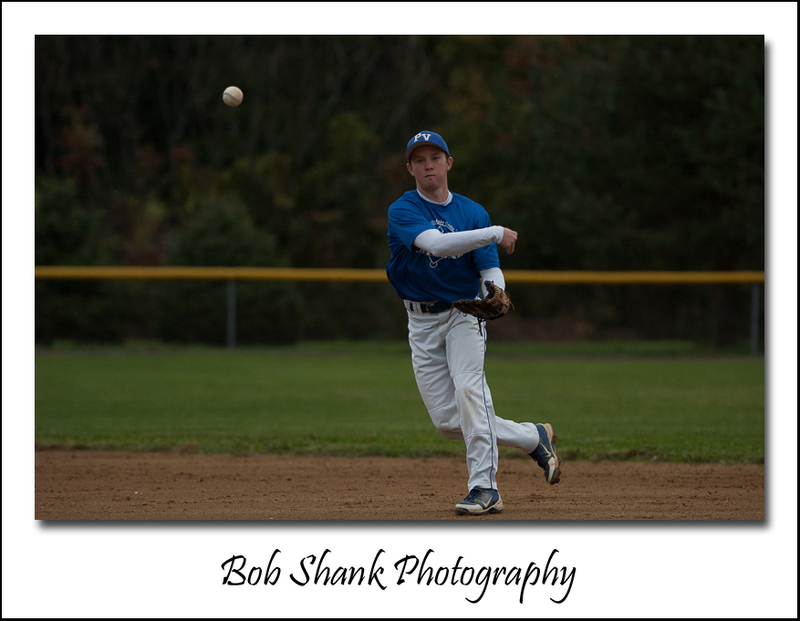 He cleanly fielded the ground ball and made the throw to first to record the out. 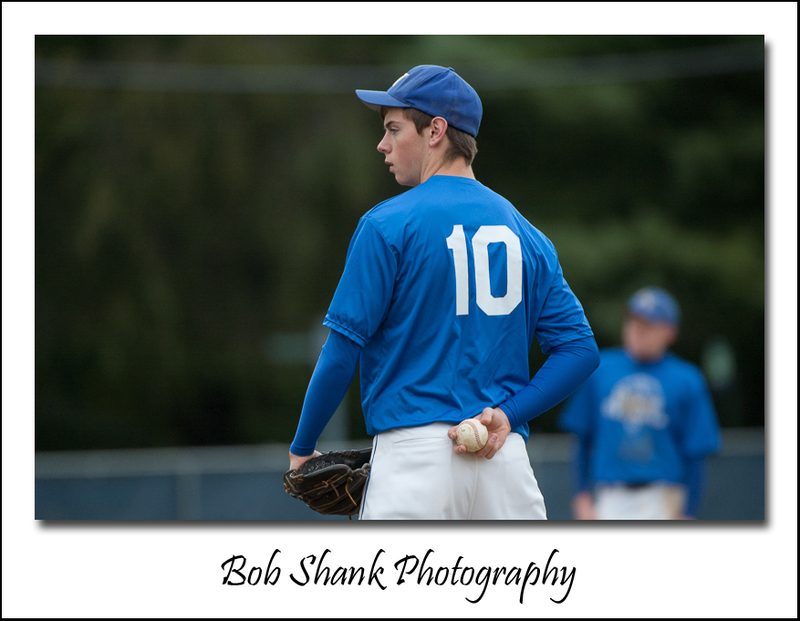 Here, pitcher, Chris Burke, waits for the signs from the catcher with eager anticipation! He’s ready to get into his windup but he needs the sign first. You can see the 4-seam grip in his hand as he awaits the sign for the proper pitch. Then, if needed, a slight turn of the baseball gets him ready to deliver the pitch. 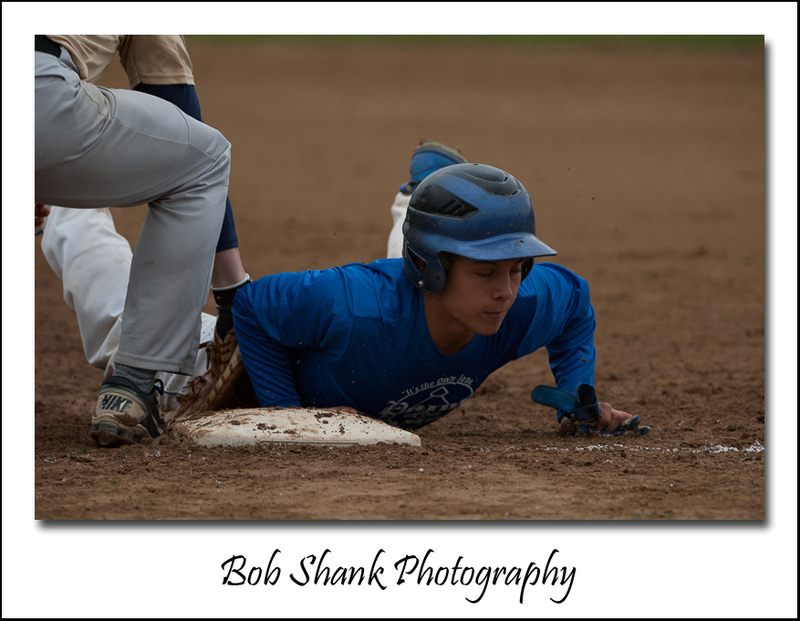 Connor Cardenas gets safely back into first base as the late tag is applied. Connor extended his lead on the next pitch and stole second base with ease! 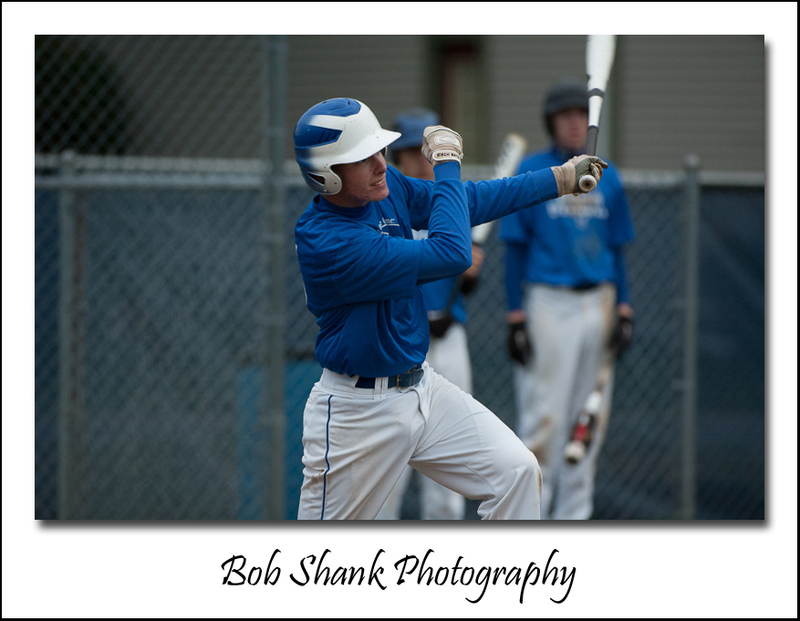 This swing by James Shank produced a double that went to the fence. Howie Stevens’ swing produced the game-winning RBI, to lift the Pleasant Valley Bears to a 1-0 victory in a closely contested and very competitive ballgame! To see all the photographs of this game, click here.